United’s frequent flyer program, MileagePlus, puts Mexico, the Caribbean and Central America into one region. That means that you can fly from the U.S. to anywhere in the region for 35,000 miles in economy. 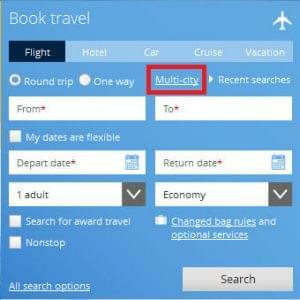 United also lets you take one free stopover per roundtrip, so you can visit two destinations in this region for the same amount of miles. A stopover is when you stop on your way to your final destination for over 24 hours on an international flight, or for more than four hours on a domestic flight. The free stopover allows you to see more places for the same amount of miles. Instead of just going to Cancún, you can go to Cancún and Costa Rica, or instead of just visiting a Caribbean island, you can also explore Panama City. There are a lot of great options for using a free stopover in this region, including popular destinations in Mexico, but they have to be served by United or one of its partners. You also have to worry about the availability of award tickets, so a little flexibility in your travel dates can help a lot. United is a Star Alliance member, and that alliance’s busiest hub in Central America is Tocumen International Airport in Panama City. We’ll use that as our stopover on our way to the Caribbean Island of St. Maarten in our example below. Select “yes” to book a MileagePlus award ticket. Click “search” at the bottom of the page. 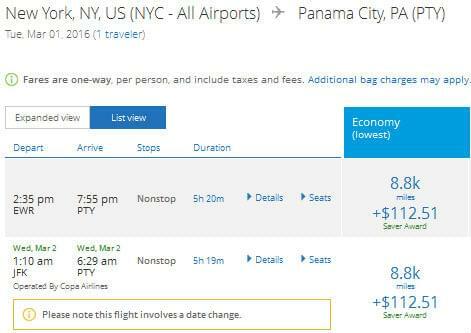 Choose your first flight, between New York (or another city in the U.S.) and Panama City. 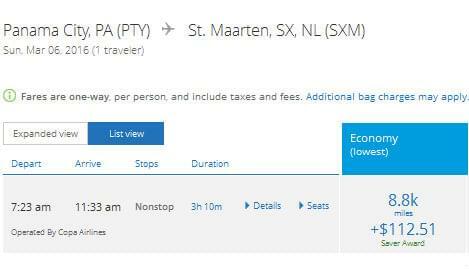 Choose your second flight, between Panama City and St. Maarten. 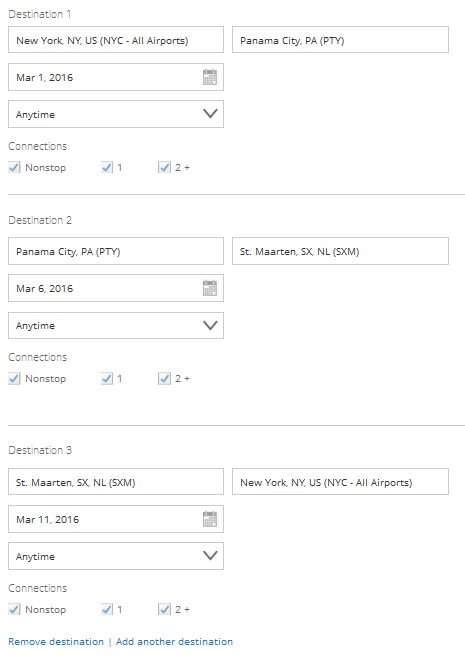 Choose your final flight between St. Maarten and New York. 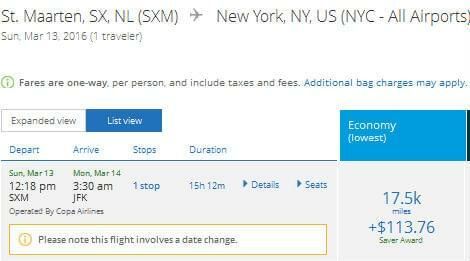 The final cost of this flight is 35,000 miles and $113.76. Adding Panama City to the itinerary didn’t cost any extra miles. There are a lot of destinations you could visit in this region using a stopover. It’s worth experimenting to see where else you can go for the same amount of miles as a round-trip ticket.